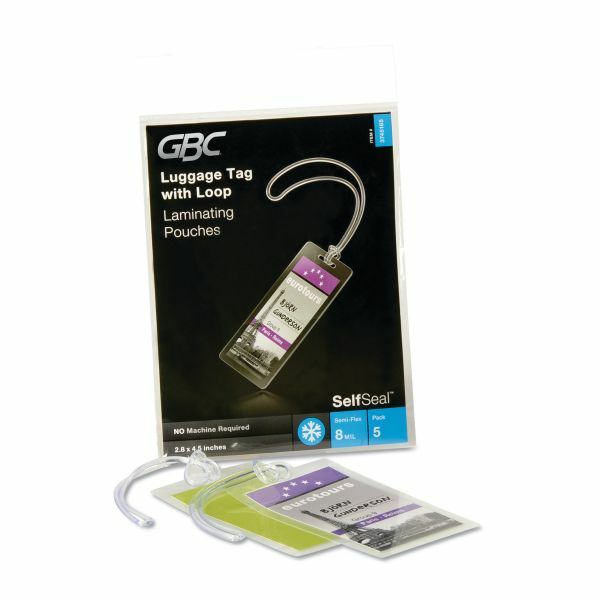 GBC SelfSeal Single-Sided Luggage-Tag Laminating Sheets, 8mil, 2 7/8 x 4 5/8, 5/Pack - Self-sealing laminating pouches do not require a machine to use. Simply peel and seal. 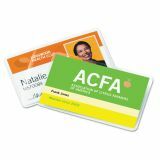 Ideal for heat-sensitive materials, such as inks, photos, certificates, schedules, newspaper clippings, price lists, and children's artwork. Pouches offer a safe, easy, fast solution. The pouch is sealed along the 2-7/8" edge.